Hey guys / girls, I’m just putting this out there and introducing myself. I’m Steph or Stephanie, I’m 22, 5ft tall, and from Middlesbrough. I have an ileostomy bag, cirrhosis of the liver, I’m pierced, have crazy hair, love wrestling, batman and hello kitty! Here’s my story. 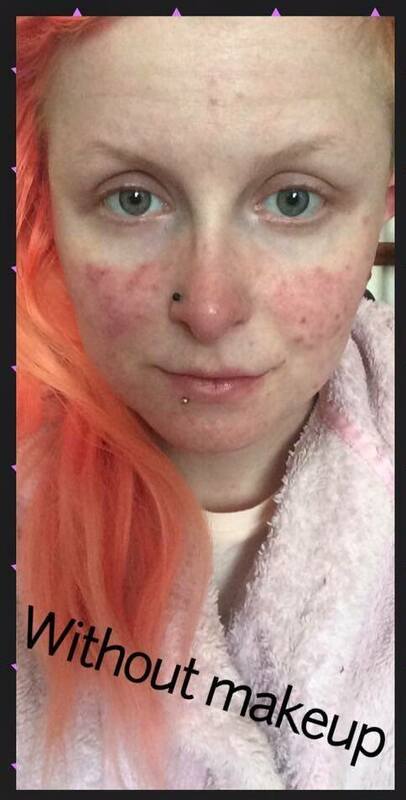 So I was diagnosed with Ulcerative Colitis when I was 18. I kept going to the loo all the time and sitting in the bath because the pain was that bad. I hated the fact that something was happening to me; there was just blood after blood. I don’t think the steroids were working on me or anything, that’s when surgery was the only answer to me. Going down for the first one to bring my stoma out then second one was to remove my big bowel because it was twisted. Then I was on the road to recovery! Second time I was in hospital again my stoma started bleeding for no reason, so I got to hospital and the person said: “Oh it’s fine you can go home now.” I got back in the car, it was snowing and I was getting really warm and cosy. Half way home my bag started blowing up; my Mam got a bag and put the bottom of my bag it, opened it up and guess what – yes it’s blood again! I must have passed out and fitted 4 times or so and I was back in hospital again! They gave me the hormone injection and a sickness tablet mixing them two together is not good at all! I had a massive seizure; if it wasn’t for the person in the bed next to me pressing the button I would be dead to be honest. I’ve adapted to it very well and I’m changing it on my own with my Mam present if anything goes wrong. I find it easier having a bag to be honest. I’ve been in a couple of relationships and to be honest they have ended badly, either with me getting cheated on or I’m just not good enough to be honest. Since having my bag I find it hard to be in a relationship to be honest. I find it hard telling someone that I have a bag and liver problems, the guy either doesn’t want to know or just walks away really. I know I’m not perfect or anything but you have to give that person a chance to see what he/she is like with or without a bag. 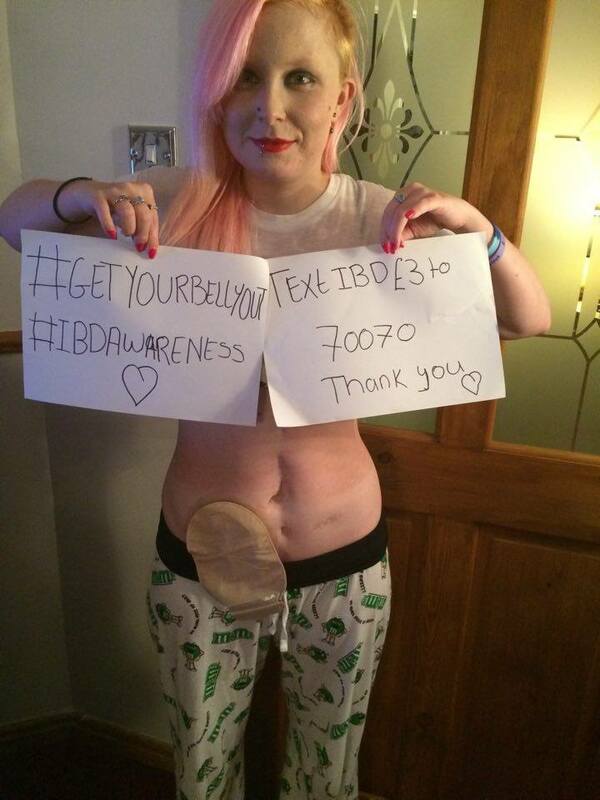 I’m quite involved in raising awareness for IBD. I get a lot of happiness out of helping people out, and doing my bit to help people to be more confident with their body image. 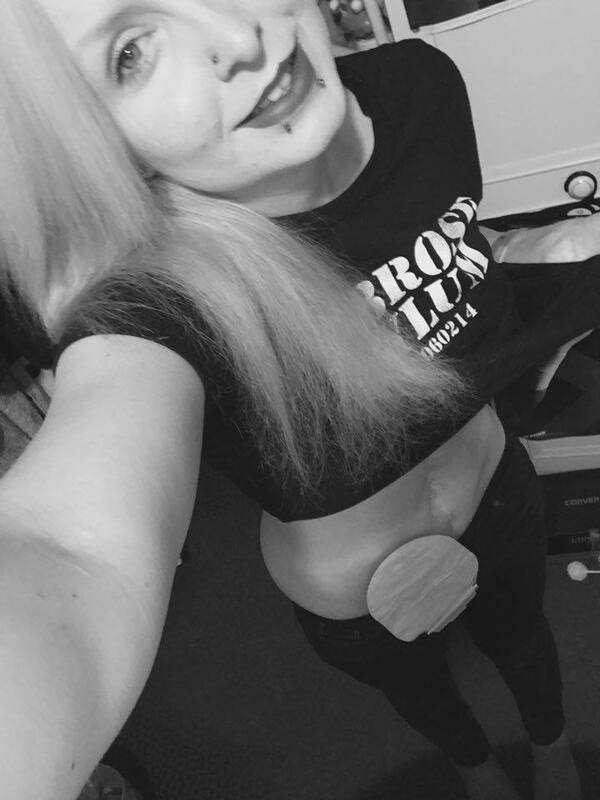 I’ve posted pictures of my stoma on support groups to help people feel more comfortable with scars and bags from surgery, and to help people understand what its like. I also use these pictures to help raise money towards Crohn’s and Colitis UK. As well as the Ulcerative Colitis I have cirrhosis of the liver caused by other medical problems. It’s where my liver replaces healthy tissue with scar tissue, making it not function as well as it should. This slows blood flow to the liver, meaning that nutrients, hormones, drugs and toxins produced by the body aren’t processed as well as they should. This causes spots and rashes on my face which you can see in this picture. I also suffer from fatigue because of this, which makes it really difficult to get on with things and live my life. 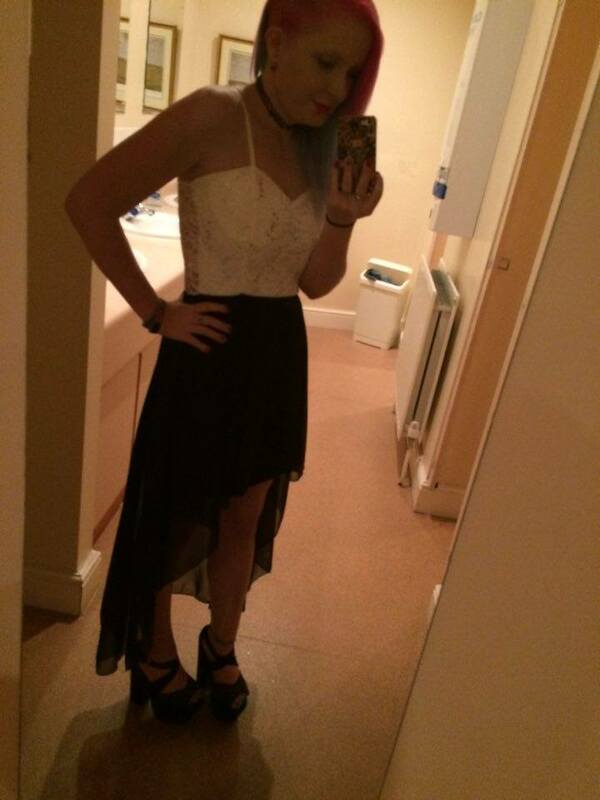 I love this dress because you can’t see anything of my bag or scars! Despite all of this I am determined to carry on. I will NOT let IBD kick my arse – I will kick it’s arse!! From now on there will be some positive attitude not negative. Thanks for reading my story! Cheers for sharing your story Steph! Great to hear from you. And thanks for reading people! As always if you’ve read Steph’s story and would like to share your story here then please get in touch! Have a great day people. This entry was posted in Awareness, What's your story? and tagged #getyourbellyout, Batman, Crohns and colitis awareness, Crohns and Colitis UK, Hello Kitty, IBD awareness, Ileostomy, Liver cirrhosis, Piercings, Recovery, Stoma, Ulcerative Colitis, Wrestling. Bookmark the permalink. 1 Response to Whats your story? Meet Steph!